Luckily, in California there’s a legal way you can protect yourself from flakey clients and get your payments on time. Contractors can insure their work by filing Mechanic’s Liens. People who provide labor and materials on private property in California have a constitutional right to file a mechanic’s lien as security until the debt owed is paid. Filing a mechanic’s lien is a method contractors and subcontractors use to ensure they are paid for their work. To protect yourself and your livelihood, follow the steps outlined in this guide on how to file a mechanic’s lien in California. First, determine if the work you’re doing qualifies for a mechanic’s lien. Contractors, as well as subcontractors, design professionals, sub-subcontractors, and material suppliers who work on private property, are eligible to file a California mechanic’s lien. 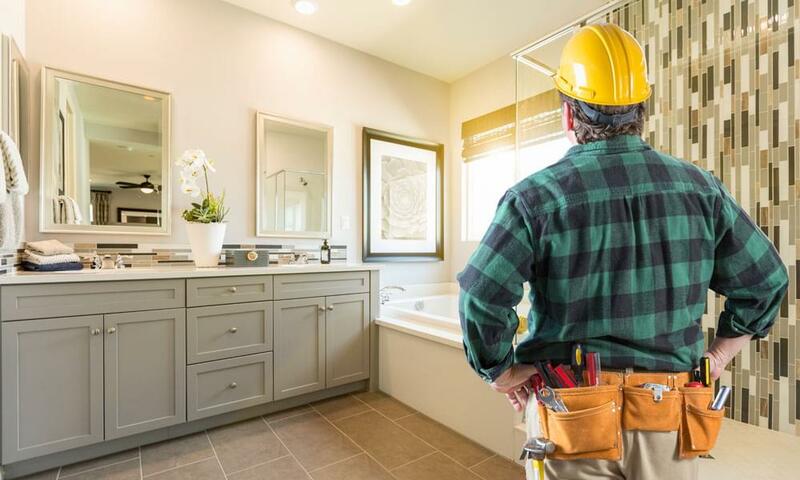 Don’t get too excited just yet–a mechanic’s lien in California can be filed only by those who contract with the property owner, contractor, or subcontractor. And if you are only supplying materials to another supplier, , you’re probably not not eligible for a California mechanic’s lien claim. Additionally, if you are working on government-owned property, it is not legal to file a mechanic’s lien. However, you can still protect yourself: nearly every government-owned project is required to have a payment bond in place to ensure that subcontractors and suppliers get paid. Filing a claim against the payment bond secures your claim for money in a way that is similar to filing a lien claim. In addition to the payment bond, stop notices may also be filed. Delivering a preliminary notice, also known as a 20 Day Notice, is the first step in the mechanic’s lien process. The state of California requires that a preliminary notice be given before filing a lien. The purpose of the preliminary notice is to protect lien rights as a precaution before any payment problems arise, and to give the owner a chance to make good on the payment. Make sure to mark the dates of work on your calendar and keep your timeline straight: this preliminary notice should be given in writing to the property owner and project stakeholders within 20 days after the work on a property begins–wait too long and you’re out of luck! The notice details who is working on the project and the lien rights. Once you’ve sent the 20 day notice, you can file a mechanics lien if you don’t receive payment down the road. If you are eligible to claim a California mechanic’s lien, you can do it for the value of the labor or materials provided. The important thing is to do these two steps in the right order and follow the exact rules. You can’t just surprise someone out of the blue and expect a big pile of money. Contractors submitting a lien should send a copy of the lien to the property owner through certified mail and keep a record of the mailing, signing an affidavit attesting that the lien was delivered. For a lien to be recognized and enforced, it must be filed with the County Recorder’s Office on time. Prime contractors must file a California mechanic’s lien, including the original copy of the lien plus evidence that it was delivered to the property owner, with the county where the project was completed. If you thought those were all the rules, we’re not done yet. California Mechanic’s liens must be filed within 60 days after a notice of completion or notice of work cessation is recorded. If the completion or cessation of work on the property has not been recorded, prime contractors have 90 days after completing the property improvement. Subcontractors and suppliers must file a mechanic’s lien within 30 days after a notice of completion or notice of cessation is recorded. As with prime contractors, if no recording of completion or cessation is accomplished, within 90 days after the completion of the work of improvement. There’s no need to worry about getting paid for your job. Keep your clients honest and provide yourself some security in case of any problems by sending a 20 Day Notice or filing a mechanic’s lien. Protecting your lien rights and claim to payment depends on delivering the right documents at the right time, so keep it simple and avoid missing filing dates with LienItNow.com. LienItNow.com provides a simple mechanic’s lien questionnaire form to complete, which provides all of the information needed for us to process your document. With that information, LienItNow.com prepares the appropriate lien claims. Protect yourself and your work by requesting your lien form today.